The UX designer is often focused on the world outside of their company and that’s, ideally, how it should be. Yet, all too often organizations are frustrating places to work. The company culture impedes us rather than supports us. The projects we work on are badly defined. The objectives we’re given are intangible and vague rather than attainable. This is incredibly frustrating but it doesn’t have to be – if you bring your UX skills to the table. UX is all about change. We work with our users to generate change in products for the better. The same can be true in the companies that we work in. There’s an idealist in us all and it can come to the fore and take charge of us before we’ve even had time to think. The wrong way to try and affect change is to jump straight in. Many a manager and professional has crashed and burned before they’ve begun by holding a meeting and lecturing attendees on all the faults that they see in the world around them. This gets people’s backs up. It makes it much less likely to change. 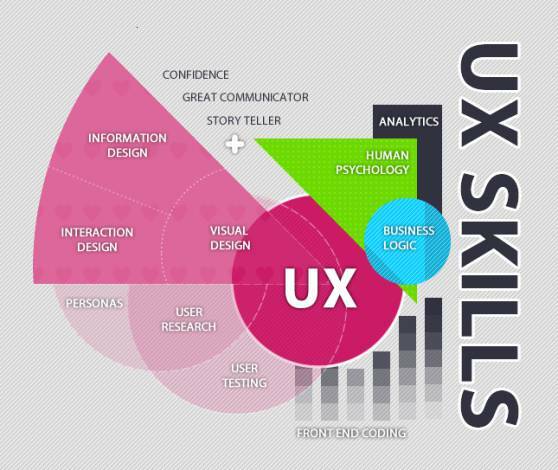 So here’s a more UX focused model to get you the results you want. It’s not as quick as a big speech but it is, generally speaking, more effective. Before you can start affecting change – you need to be able to understand the people, processes, goals, etc. around you. When you start a design project, you talk to the users. If you want to redesign the way you work, you talk to the people who work with you. The start is simple, go and talk to people. That doesn’t mean booking long, lengthy meeting with everyone and his dog. It means getting up from your desk, cubicle, office, etc. and going out to talk to folks and more importantly it means listening to them. You can get information from people when you work with them on a project or in the lunch room. Make sure that you project a positive and helpful image; you’re not conducting a witch hunt – you’re getting feedback. Once you have some data; you can start to build some basic models from it. You can map relationships to the organization hierarchy (are they similar? ), you can work out who the most influential stakeholders are, you can look at how objectives are met (or not) through company-wide initiatives and so on. You can’t change a whole company culture overnight. Those who have tried, have failed spectacularly. Pick something small to start with. Take a single area of common frustration and focus your efforts on that. If you can find a quick win; so much the better. You can tackle bigger problems later when people understand what you’re doing and support you for it. Don’t rush out to pitch your ideas just yet. Before you do anything, you need some more data to help your cause. Firstly, it’s a good idea to examine the existing culture. Whatever you propose will need to fit with that culture. It’s a bad idea to try and force people to swim against the tide. So how do people work together? What are the benchmarks of success and failure? What are the processes that you need to follow to affect change? Then get a broader understanding of organizational change as a whole. Go read up on the issues that you’re likely to face and the challenges involved in different types of company. The Interaction Design Foundation is run very differently from many other organizations – what works for us may well not work for you. Now, take a close look at the organizational thinking process. Take your quick win that you identified and look at how you might get the organization to accept your proposed change. You can also spend some time looking at how bigger, deeper changes can be effected at the same time but always start small. Why? Because if things go wrong – you can try again and if they go right; you’ll be on target to gain trust and support for bigger changes. Now, you’ve done some thinking and implemented a change. It’s time to review the process and see what you could do better next time. UX designers work by iteration. They make a change, they test it, they review the data and then they make more changes. That’s the way that organizational change design works too. Rome wasn’t built in a day and neither will any company change overnight to be what you want it to be. You eat an elephant one bite at a time. You change a corporate culture in a similar way. Think about the way you redesign products and bring that thinking to redesigning your workplace. Don’t be afraid to experiment and don’t be afraid to get it wrong. You’ll have some great ideas when you do user research that turn out to fizzle in practice – that’s normal. The same is true when we try to change the business around us; it takes time and effort and we don’t always get it right. If you take the process slowly, your failures won’t be so dramatic that you can’t get another go and another. Finally, consider implementing a public strategy. Products have roadmaps for change. That enables everyone to know what’s coming and when. Organization change can be planned in much the same manner. That way people know their ideas have been heard and are valued; even if they can’t see results in an immediate way. Organization change is the same as changing products; it’s a design process. You solve problems by breaking them down into steps, coming up with solutions, testing those solutions and communicating the results. UX designers can be great agents of cultural change if they learn the lay of the land before setting out to change the world.